The series will debut on FX in September. Donald Glover's Atlanta, a television program following a young rapper trying to break into the business, will premiere September 6 on FX, Screen Crush has reported. Glover created the series, and will star and executive produce for its first season run of 10 episodes. 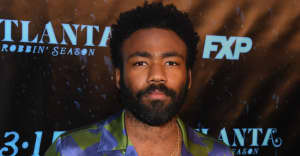 When discussing the tone of the show at the Television Critics Association's winter press tour in January, Glover joked that he "just always wanted to make Twin Peaks with rappers." Watch a new trailer for the series above. In June, Donald Glover rebooted his rap alias Childish Gambino, and announced a series of shows in Los Angeles called PHAROS Earth, where he will perform a new album in full.